Rapnews caught up with the top man at DMC to talk about the foundation’s origins, their championships, the DJ scene, forthcoming DVDs and Books, equipment and tons more! For the simple heads out there, tell us what DMC stands for? Dmc stands for Disco Mix Club. The original DMC was, and still is, a DJ only remix music service. 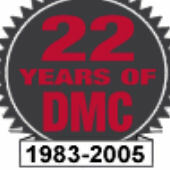 DMC was the first record club exclusively licensed by the BPI to provide mixes and remixes to club DJs. The company was launched in 1983 and pioneered the concept of the megamix and the DJs a music producer. Who are the top dog’s in charge of DMC now and how does this differ to the original set up back in the day? Top dogs still barking are Tony and Christine Prince. Tony dragged Christine screaming into his concept of a new business idea. He resigned a 20 year career as a radio DJ (Caroline and Luxembourg) on the theory that mixing was a new art that DJs should button up and use their production powers to create something different for their audience. Christine and Tony have always been flanked by Susan McLintock (MD). Their son and daughter, Daniel and Gabrielle have also worked for the company since 1983. The original DMC was run from their home. They knocked down a stable to create a studio for the DJs to advance their art. Dave Seaman, Steve Anderson, Les (La MIX) Adams, Chad Jackson, Paul Dakeyne, Sany-Z and Alan Coulthard were amongst the first creative DJs working at DMC. Briefly for those not in the know, what’s the purpose and aim of DMC? From the basic art of beat mixing, DMC took the art into remixing and eventually production as their DJs became artists. La Mix, Brothers In Rhythm etc…The company launched the world DJ Championship in 1985 which became known as ‘Turntablism’. The competition is now staged in 30 nations annually. The biggest influence DMC has had on clubland came with its monthly magazine, Mix Mag. From a 1416 page DJ newsletter, the title grew to 150,000 monthly sales before Emap bought it in 1987. DMC also launched a public label for their DJ producer’s creations. This led to Dave seaman resigning his work as editor of Mixmag to become head of A&R for their ‘Stress Records’. DMC has offices in the UK and New York. What do you feel has been the greatest achievement of DMC since it was founded? Launched as a weekly programme on Radio Luxembourg in 1981, The Disco Mix Club Show was MCed by Tony Prince with production contributions originally from Alan Couthard and Les Adams. It was the mail from DJs showing interest in the mixes that kicked Tony’s brain into gear. How do you feel the involvement of DJing in hip-hop has changed throughout the years? The arrival of American DJ Cheese in the DMC DJ Championship took the art from beat mixing to scratching and on forward towards today’s incredible art of turntablism. DMC has never laid down any rules on which music DJs should use but the DJs decided hip-hop had the breaks and bridges they needed to get creative. If DJs turn up with Country and Western music, that would be up to them. At the end of the day the people and the DJs decide where the art should go. What DJ’s do you think are currently holding it down? We’ll feature DJ Yeah a 7 year old American DJ at this years world finals. DJ like Q-Bert, Craze and I-Emerge are massive on the world circuit. Who is the DJing God? The God changes annually. But to win three years in succession is a remarkable feat and that brings us to…DJ Craze of Miami! America’s Cash Money remains a legend and loved by all with his old school routine. For tricks, look no further than Germany’s 80s DJ David who spun his entire body on an SL1200 turntable. Q-Bert was responsible for many new tricks and remains an icon. In the UK, Cutmaster Swift, Chad Jackson and Plus One are the only three DJs to take the technics golden turntables. What are the current objectives and plans for the forthcoming year or so? We are planning to launch a new digital DJ event to accommodate digital players and computer DJs. We’re heading towards new technology but we will always remain faithful to purist turntablism. We are also turning up the volume on our website www.dmcworld.com with updates weekly. Dance Magazine moving full time to DMCWorld.com And Dance Music’s most important chart, The DMC Buzz Chart providing sound bites. The DMC update magazine of the future will not just carry music reviews and chart entries. People will have sound bites to hear the tracks for themselves. Downloading will also become our priority in 2006. Could you talk about the current DMC World Championships and how wannabe contestants can get involved in the competition? Once they have learned their art from the DMC DVD’s which chart the 18 years of battling, they bring their talent to a DMC heat. They may fail to get through the first year but most DJs with the drive and talent finally beat their nerves and get through to a final. To arrive at a UK final they will have beaten up to 200 DJs. To win the world championship they will have beaten 3000! What is your most memorable year of the event? The most memorable year was at a UK only competition in 1984 when Sweden’s Sanny-X asked if he could play for a few minutes using a digital delay (which nobody in the audience had ever seen used by a DJ). His combination of human league ‘Don’t You Want Me Baby’ with other dance tracks was mind blowing. 1200 DJ delegates left London’s Hippodrome inspired and ready to take their art to the next level. Cheese bringing the scratch style into the event was a major and to see a 17 year old Canadian (A Track) take the world title was pretty awesome. There have been many memorable DMC’s but perhaps the greatest and most exciting was when we brought in Run DMC, Public Enemy, Janet Jackson, Alexander O’Neal and James Brown to London’s Royal Albert Hall. Has Technics always been the sponsor? Yes, they have always been our prime sponsor and the event would not have evolved without them. We are now working closely with Technics Japan to promote the SHDZ1200 digital player in which we have aided in the design’s fine tuning. The player has been specifically designed for a higher level of digital DJ creativity than that offered by other players on the market. We now look forward to embracing this technology at DMC. Are they merely attaching their name to sell decks? Not at all. Technics couldn’t sell more turntables if they wanted to. Technics have really been giving something back to the DJs who made their SL1200 the industry standard around the world. Is the rule that entrants can only use particular Technics equipment to put everyone on a fair level or to up the brands exposure? In the early days when we allowed any equipment, it was a nightmare and looked awful as our team ran around the stage changing decks, mixers, stylus etc. We asked Technics to produce a mixer that would be compatible for the SL1200 turntables and we acted as design consultants. The eventual mixer has been the only mixer permitted around the world for fifteen years. We are now looking at this rule as the mixer comes to the end of its dominance and so much new technology is influencing the DJ society. What Word Champion has gone on to have the most successful career having won the competition? Most world champions tour the world on the back of their reputations. Then you have Carol Cox who entered an early UK competition before moving into house music and securing his place in the DJ Hall of Fame. Then we have DJ Swamp who won the USA finals in 1997, never to win the world. He became the DJ for Beck and toured the world as a member of his music line-up. What country has the best track record of generating the dopest DJs? Undoubtedly America, but the standards are pretty high in France, Canada, Japan and the UK. How interested do you find the hip-hop scene to be towards DJing and turntablism these days, and what kind of crowd types and sizes do the events pull? We don’t book very large venues for heats. We have an elitist turntablist fan club who are prepared to stand through hours of performances and who know instinctively when they are watching a great performance. Most of our audience have played around with turntablism but haven’t had the depth of talent or perhaps the drive to take on the rest of the world. Our finals have been staged in the UK mostly, but Italy twice, France once and New York once. Our largest ever audience was 12,000 at London’s Wembley Arena. We filled the Royal Albert Hall (7000) three times. Are other hip-hop elements such as breaking and graff incorporated into your live events? No, Graff is too smelly for an indoor event and we do sometimes feature top break performers at events. DMC don’t want to be seen to dominate all the hip-hop elements, rather to concentrate on turntablism and the DJ at large. What would be your best advice for a young dude enthusiastic on becoming a dope DJ? The answer to that is far too long and complicated. It depends what type of DJ (music) he wants to be associated with. Most DJs start by copying their peers on DMC DVDs. Those who aspire to becoming a club DJ usually start by giving a resident DJ a break or warming the club up before he comes on. Can you recommend any DVD’s, records and books which you reckon would give them a good start? DMC have produced two instructional videos. ‘Do You Wanna Be A DJ’ and ‘The Art Of Turntablism’. Both of which are still available from the DMC store on DMCWorld.com A new series is in production. Tony Prince and Les Adams are currently conspiring at the ultimate instructional manual titled ‘DJ Handbook’ but that looks like it wont surface until late 2006. Is DMC still running things at Mixmag magazine? Do you have any shout out’s or plugs that you’d like to make? the DZ needs to improve greatly or you will kill the DMC digital scene before it starts. The DZ is weak. You need to get the Numark CDX in your lab and get the DZ working as good or better than it. This is not just my opinion. The majority of DJ’s will agree, actually… almost all would agree. How about getting in touch with your old mate and drummer. Remember Bristol, 1964, TONY PRINCE KOMBO, PAUL LAZARIDES, GEOF HIBBERT and all. Get in touch…..Charlie. You’re far too old to be surfing into a hip-hop DJ site. Great hearing from you, do you see anything of Pete, Robbie and Tony? How I recall that morning we were due to leave for The Star Club in Hamburg and I went down on stage the night before ending up in hospital as my Kombo set sail for Germany without me. Fate….one of those days when a right or left turn had to be made. And then the night we took our kitten on a pub crawl and finished up being car chased by a mob of jealous Bristol teds who didn’t like the girls gathering round us in their pub. An almost death experience and quite hard to believe it really happened. My worst memory? Pete throwing a turd on my car roof and drinking from a bottle of beer that turned out to be Robbie’s piss. We were a great band but I wasn’t mortified when you buggers left and I could get back to DJing. Great hearing from you Charlie. You were the only sane member of the group in that brief moment in a wild time. Whilst packing to move have found a photo of you and your mum and dad at your 21st!! Taken by my dad who worked occasionally as photographer at Top Rank in Bristol. You probably don’t remember but you came to my 12th birthday party and caused mayhem but boy did my street cred go up!! If you would like a copy of said photo let me know and get one to you. Hi Tony. How are you? Wonder if you remember me. I always went to see you at Top Rank Bristol and thought you were the ‘greatest’. I will never forget when I was suddenly taken ill and you came to Frenchay Hosp in the Dec to visit me, causing escitement and blushes among the nurses. You put Christmas decs up in my side ward and bought me my first box of Belgium chocs. I told a white lie and told the nurses I was dating you. (in my dreams). After that I went to Stoke Mandeville and you always wrote and when I came home you visited me. Later you wrote and said you were leaving for Luxenbourg. Bristol had and lost a great DJ. You still are and I watched and listen to everything you were on, if poss. I now look and read everything on the web on you. I will always remember your kindness to me that time in 63-64.